Saco Fire Department (Plan/Specification – New Construction) The new building received a LEED Silver certification and includes solar domestic hot water, and a geothermal heating system as well as increasing the R-Value and reducing the carbon footprint. Pennell Institute (Design/Build – Major Remodel) The 134 year old building was transformed from a decaying building into town offices for Gray, Maine. Gray Public Library (Design/Build – Addition/Major Remodel) The Gray Public Library Expansion Project added approximately 3,000 square feet to the existing library, providing new meeting rooms, a larger children’s area and better access to disabled patrons, including upgraded ADA compliant restrooms. 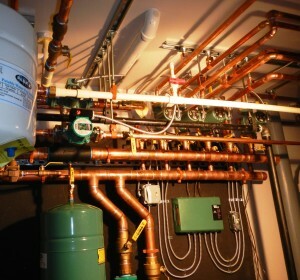 The HVAC design improved energy efficiency utilizing a new gas fired combustion boiler to serve the existing underslab heating zones and to provide heat to duct coils throughout the addition. 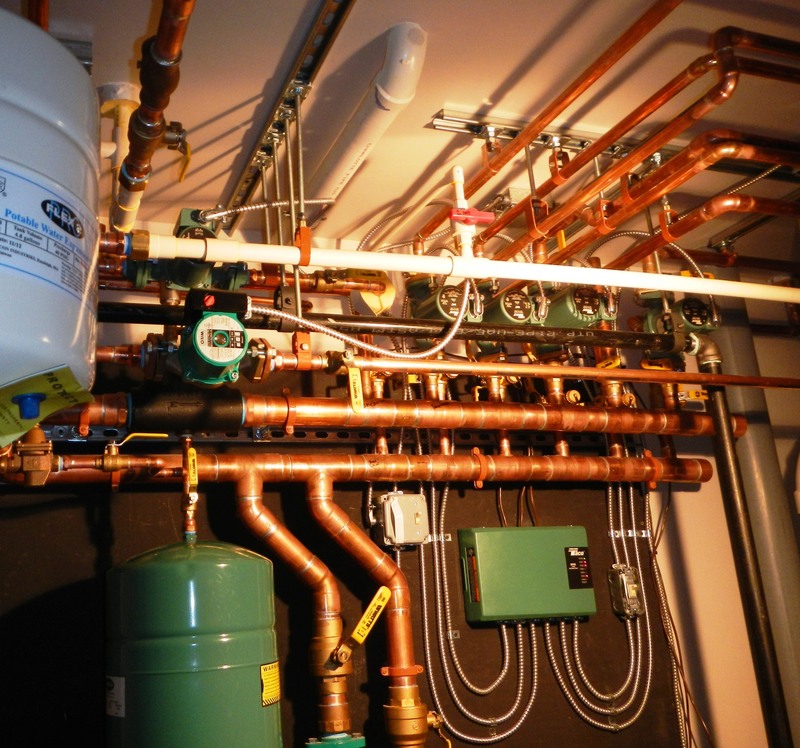 The new boiler and components were installed while the existing oil fired boiler was still functioning in its original location to eliminate downtime during construction in the colder months. Due to the limited size of the new boiler room the layout for equipment and piping had to be well thought out and instituted. Contact us today to discuss your next municipal mechanical contracting project.